There are many benefits for Vision Quest delegates, including exclusive opportunities for professional development. On Tuesday May 16, delegates can choose from participating in one of two pre-conference courses. In the course called ‘From Vision to Reality: How to Start a Successful Business’, participants will discover how to get businesses up and running, and learn about tools, resources and funding that may be available to help start businesses. In ‘Rise Above: Living A Life Teachings’ participants will learn about cultural teachings from tipi to talking stick, and will be challenged to reflect on the sacred, identity, their own untapped potentials, and personal barriers. On May 17 and 18, there are two full days of workshops covering topics like business administration, launching a business, money management, social enterprises and co-ops, careers in manufacturing, acting for film and television, Indigenous entrepreneurship, and more. Vision Quest’s Trade Show is the place to be for business networking, exploring partnerships, finding out about new opportunities, and purchasing one-of-a-kind creations. More than 90 exhibitors will be on display, representing business suppliers, service providers, hospitality groups, career opportunities, economic organizations, educational institutions, information services, and a wide selection of artists and artisans. The Trade show is free for the public to attend on May 17 (8:30am to 4:30pm) and May 18 (8:30am to 2:30pm). 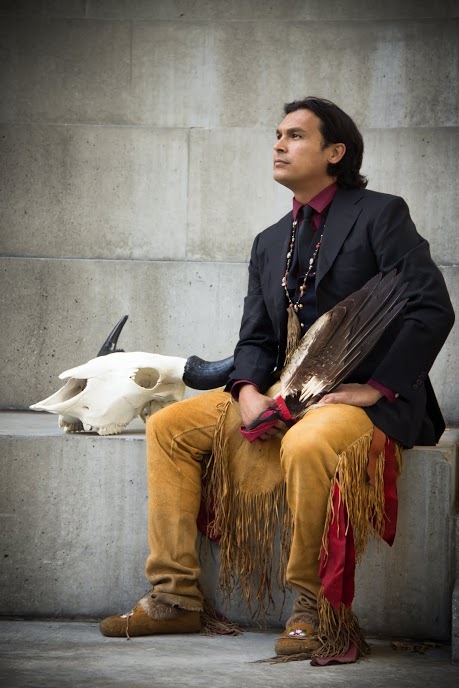 Vision Quest keynote presenters Adam Beach and Kyle Nobess will be available to meet-and-greet in the Trade Show after their keynotes. Come and meet Kyle on May 17 between 11:30am and 12:00pm, and Adam will be there on May 18 from 11:30am to 12:30pm. Brand new to Vision Quest this year is a free public lecture. On Wednesday May 17, from 7-9pm, the public is invited to attend a presentation on a topic of great importance to northern communities. ‘Ice Road and Cargo Airships: State of the Technology and Opportunities for the North’ will explore the impact of climate change on northern ice roads, the life-lines to remote fly-in communities. Dr. Barry Prentice, a recognized expert in airship technology, will be at Vision Quest to present the results of 17 years of research in this field. It’s a Vision Quest tradition to wrap up with a Gala on Thursday evening. This year’s banquet features a three-course dinner, presentation of awards, cultural and artistic demonstrations, and featured entertainment by renowned comedian Don Burnstick.